Presidents Day is in February and is a day to celebrate the leaders of our country and get to learn a little about our U.S. history. 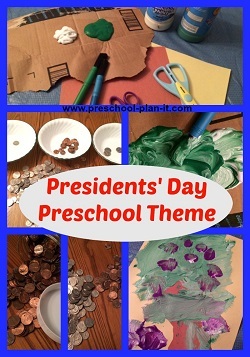 This Presidents Day Preschool Theme page is filled with preschool activities and ideas for all areas of your classroom. 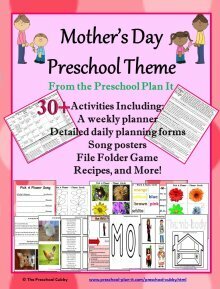 You can either scroll down through this page to see all of the preschool lesson plans and activities. 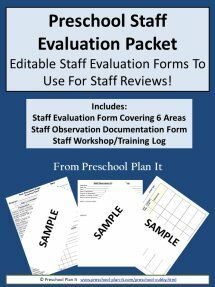 You can also click on the picture links below to go to specific preschool activity types you are looking for. Have children practice cutting the paper strip. Whatever shape they have left is the trunk of their tree. Provide green paint and brushes (provide different shades of green or green and white paint and let them discover shades of green) to paint the leaves. When they are done, provide a thin layer of red paint and rounded brushes and show them how to "dab" the brush into the paint to make cherries on the trees (or provide corks to make the cherries). Materials Needed: Fingerpaint and paper. Let the children make their own flags with fingerpaint. Encourage them to make stripes or dots with their fingertips! Provide Lincoln Logs to your block area. Or, if you don't have access to them, gather sticks from outside and add them to your block area. Circle Time is such a great time for children to learn the social skills of being together as a large group AND to learn more about your Space Theme! 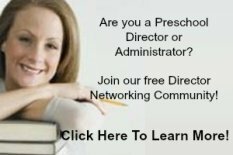 Ask your preschoolers who the president is? Ask them what the president does and then explain briefly his job. Ask them what they would do if they were president of their school and write down their answers. Five little pennies rolled in the door. One was spent and now there are four. Four little pennies belong to me. One was lost and now there are three. Three little pennies put in my shoe. One bought a toy and now there are two. Two little pennies sitting on my thumb. One fell off an dnow there is one. One little penny hot from the sun. I picked it up and now there are none! EXTENSION: Make 5 pennies out of felt (or paper with felt velcro on the back) and recite this poem on a flannel board. Have the flannel board and pennies available in your library area for the children to use during the day. Play this eye spy game while at circle time. Explain that red, white and blue are the colors of our flag. And then try to spy each color! 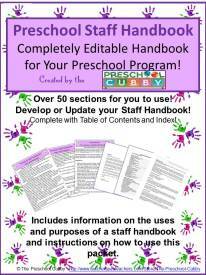 EXTENSION: Make a chart and list each item the children see for each color. 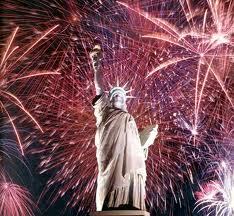 Which did they find more of: red, white or blue items in the classroom? Materials Needed: Tall "top" hat (can be found at dollar stores). Show children several toys from the classroom (crayon, block, marker, etc.). Hide one under the hat when they close their eyes. Ask them which item is now under the hat? Place graham crackers in a ziplock baggies. Let children help crush them by rolling them with a rolling pin. Children scoop some graham cracker in the bottom of the cupcake liners. They then add a few scoops of pudding. Top with a spoonful of cherry pie filling. Ingredients and Items Needed: Thin pretzel sticks and vegetable spread. Let the children build their own log cabin using vegetable spread to stick them together! 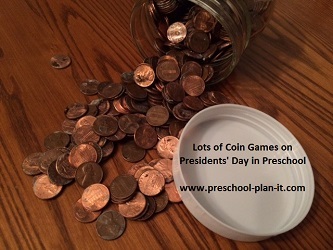 Let your preschoolers decide on some "official" activities this Presidents Day by ..... BEING PRESIDENT! Materials: Desk, chairs, clipboards, paper, crayons, hang flags, a map of the United States (or try providing an outline of the United States and let them color in the states!). Materials Needed: Encourage the children to make their own flags! When dry, glue them onto a bulletin board or wall for a Preschool Flag display! 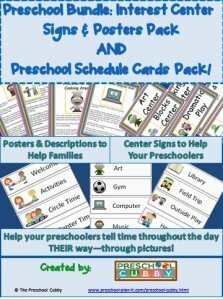 Themed Large Group Games to Help Your Preschoolers Develop Their Muscles While Having Fun Together! 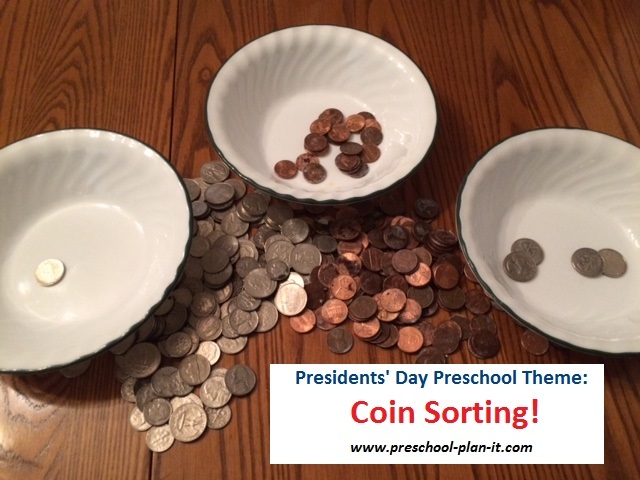 Materials: Provide coins and large paper circles (decorate each one to look like each coin!). The children toss to try and get the coin to land on the circle. EXTENSION: Have the children guess if it will land on heads or tails! Themed activities to Help Your Preschoolers Develop Their Math Skills and the Small Muscles in Their Hands! Materials: Provide large crayons with the papers peeled off of them and a variety of coins. Show the children how to place paper over several coins and make coin rubbings to help develop their little muscles! Materials: A variety of coins and bowls to sort them into. 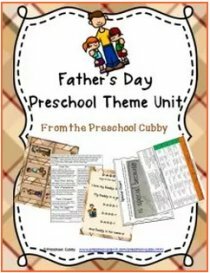 Themed Music and Movement Activities and Ideas to get your Preschoolers Movin' and Groovin'! Yankee Doodle Dandy Dancing Thank you Janice from Monument, Colorado for this great idea! In advance, make 3 pointed hats from construction paper for the children. Place feathers in the corners of the hat. Print out pictures to go with the song. (Janice rolled her rebus rhyme up like a scroll on 2 sticks!). 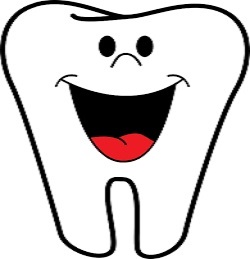 Introduce the rhyme/song and talk about the words and phrases in it. 1st verse: Pretend to ride ponies around and wave your feathered hat over our heads. 2nd verse: March around with high steps and pretend to stir the hasty pudding - hats on heads! Last verse: Dance together. When the song is over, bow to your partners. ..."And often laugh a good bit too!" Materials: Hide coins in your sand table. Provide "logs" (small sticks and twigs) to dig for them! Themed Science Activities--for your Preschool Scientists in Training! Give all your Abes a bath this Presidents Day! Provide: dish detergent, bar soap, water, ketchup, vinegar, salt and pennies...and goggles (to keep eyes clean!). Ask the children which items will clean the pennies. Write down their guesses and then let them try out each one. Have a pan of water available to rinse the pennies off! 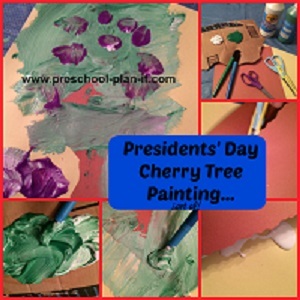 Writing Activity Ideas for Your Preschool Classroom's Presidents Day Theme! Materials Needed: Feathers with pointed ends (purchase at craft stores) and paint. Show the children how people used to write using quills!